After Dark With A Scoundrel is the third installment in the Lords of Vice series. I am very proud of myself for having read this series in order so far….I hope I can keep going strong. I have the worst habit of reading a series out of order. But since all of the books are at my local library, I decided to try this one in order. In this book we have Dare’s book, and we have Regan as the heroine. 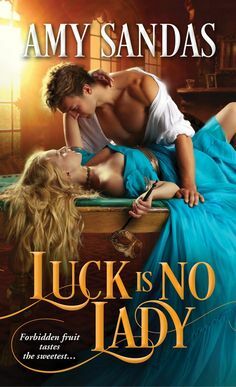 Now I will say that if you have yet to read this author, and you love historical romance and you want to get started into historical romance…this series just might be for you. I feel like this author is underrated, but as far as regency romances go, this author is at the top of the list. You can never go wrong with Alexandra Hawkins. We begin with bit of bad luck for Regan. Regan is a bit of a tom boy, and has a connection and bond with all of the Lords of Vice, and you see the close ties she has with them. AT the beginning she is only fifteen, and through a twist of events, she ends up in a sensual embrace with Dare, which she doesn’t expect but that kiss changes her. When her brother forces her to school, she is furious and hurt. Now we skip ahead five years, Regan is still just as mischievous and sassy as ever, five years at school hasn’t changed her personality, she just has a better way of seeming to be more polished. She is determined to come to London and make some changes in her life. Her first goal is to show up with no notice to her brother, and to seduce the one man she craves. This heroine…was so fun, and she definitely has the type of personality you can just enjoy while reading her. This story definitely had me laughing, and the kind of creative schemes she comes up with, and then join that up with her wit and sass…well she is a heroine you can adore. This is a story that brings together steamy chemistry, full of life characters, enticing mystery, a enchanting mix of flavors and spices to make you hunger for more. WICKEDLY SENSUAL! !